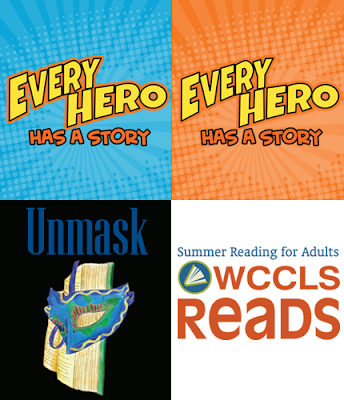 WCCLS: News & Events: Summer Reading begins at WCCLS libraries! Stop by one of our libraries to sign up for Summer Reading 2015. There's something for everyone! Big Kids and Teens: There are great events throughout the summer, and prizes for readers who meet their summer reading goals - as well as prizes just for signing up! Choose your age group here. Adults: Once again this year summer reading for adults means finding great book suggestions in your inbox, sharing your reads, prizes for book lovers, and events at your local library. We encourage you to sign-up online and check out the calendar of great events we have lined up for adults.